REDONDO BEACH, Calif. – Oct. 31, 2016 – The last of the five sunshield layers responsible for protecting the optics and instruments of NASA’s James Webb Space Telescope is now complete. 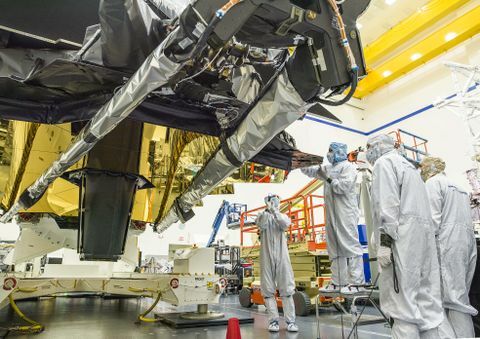 Designed by Northrop Grumman in Redondo Beach, the Webb telescope’s sunshield will prevent the background heat from the sun from interfering with the telescope’s infrared sensors. The five sunshield membrane layers, designed and manufactured by the NeXolve Corporation in Huntsville, Alabama, are each as thin as a human hair. The layers work together to reduce the temperatures between the hot and cold sides of the observatory by approximately 570 degrees Fahrenheit. Each successive layer of the sunshield, made of kapton, is cooler than the one below. The fifth and final layer was delivered, Sept. 29, 2016, to Northrop Grumman’s Space Park facility in Redondo Beach. The Webb telescope’s sunshield is currently located at Northrop Grumman’s Space Park facility in Redondo Beach. 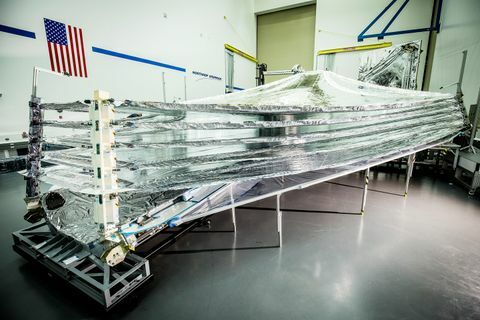 The sunshield is the size of a tennis court and will make it possible for NASA’s James Webb Space Telescope to image the formation of stars and galaxies created more than 13.5 billion years ago. 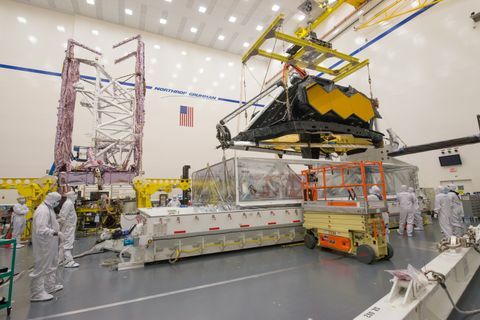 Northrop Grumman, who also designed the Webb telescope’s optics and spacecraft bus for NASA Goddard will integrate the final flight layers into the sunshield subsystem to conduct folding and deployment testing as part of the final system validation process. The sunshield is the size of a tennis court, helping solidify the Webb telescope as the largest ever built for space. The sunshield, along with the rest of the spacecraft, will fold origami-style into an Ariane 5 rocket. “The five tennis court-sized sunshield membranes took more than three years to complete and represents a decade of design, development and manufacturing,” said Greg Laue, sunshield program manager at NeXolve. The Webb telescope is the world’s next-generation space observatory and successor to the Hubble Space Telescope. 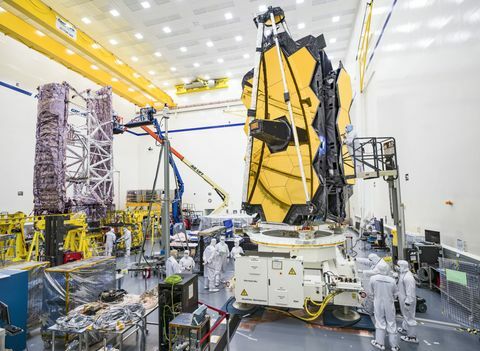 The most powerful space telescope ever built, the Webb telescope will observe distant objects in the universe, provide images of the first galaxies formed and see unexplored planets around distant stars. The Webb Telescope is a joint project of NASA, the European Space Agency and the Canadian Space Agency.